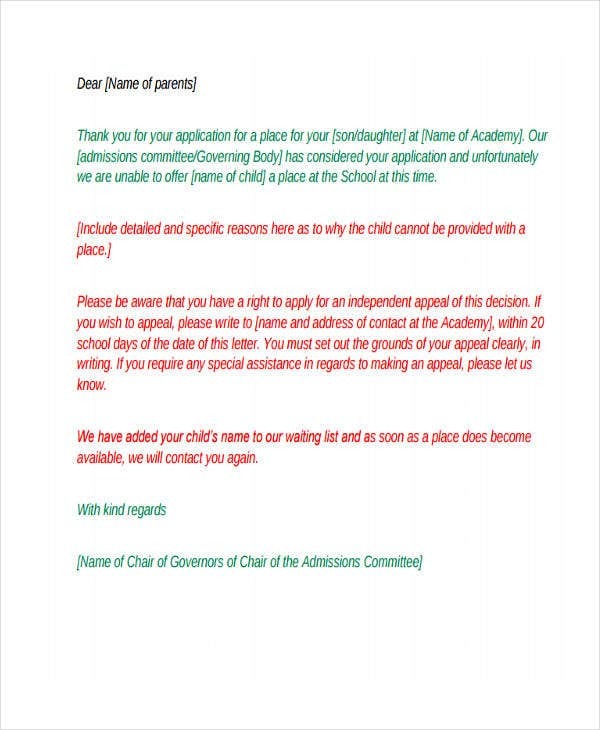 There are a lot of ways that an application rejection letter may be used. Transactions where declining an entity’s request require this specific letter for the purpose of showing professionalism. 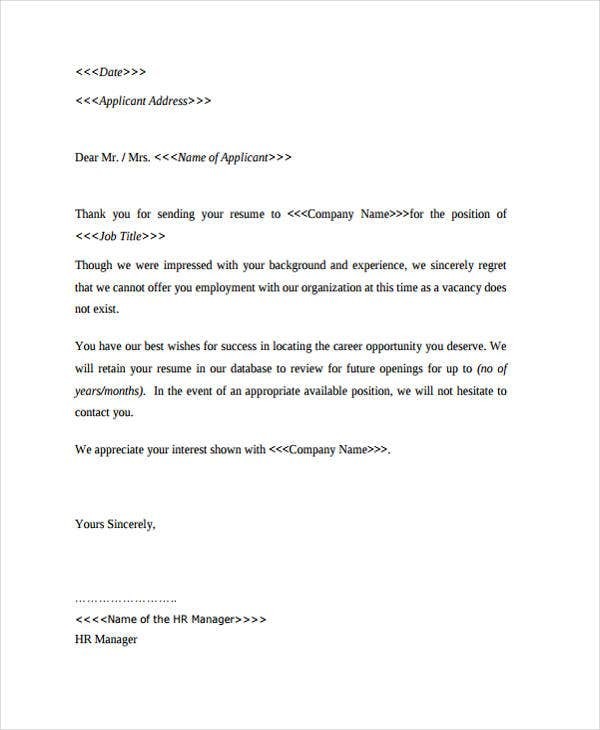 The usage of application rejection letter samples are very evident in business and corporate processes. 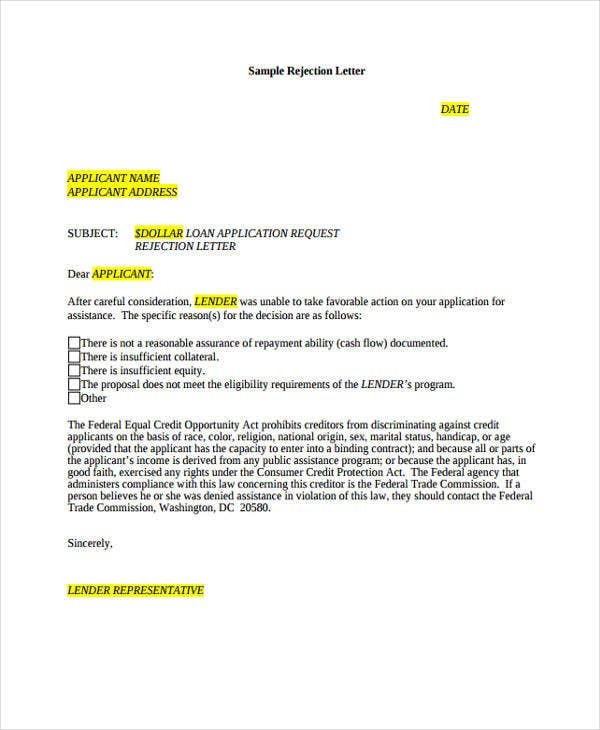 We have collected a number of downloadable application rejection letters that are usable in varying instances. 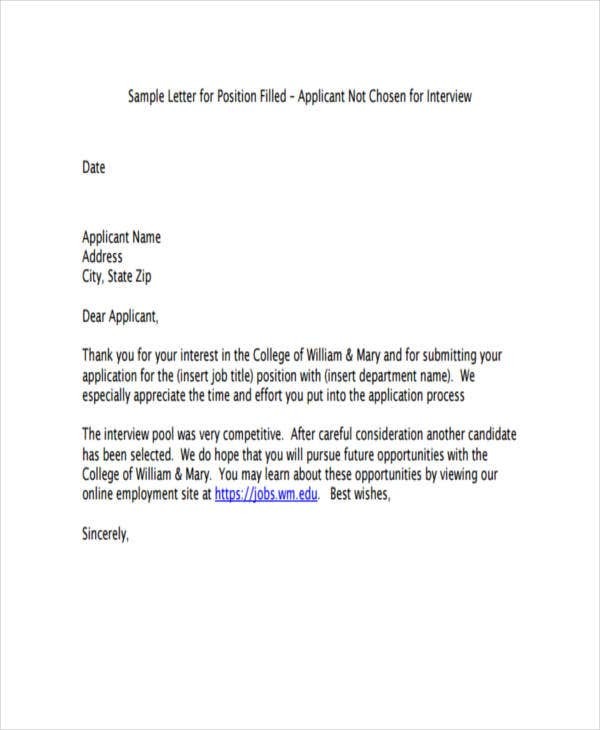 If you want to send your application rejection letter through email, take a cue from our Email Rejection Letter for references. 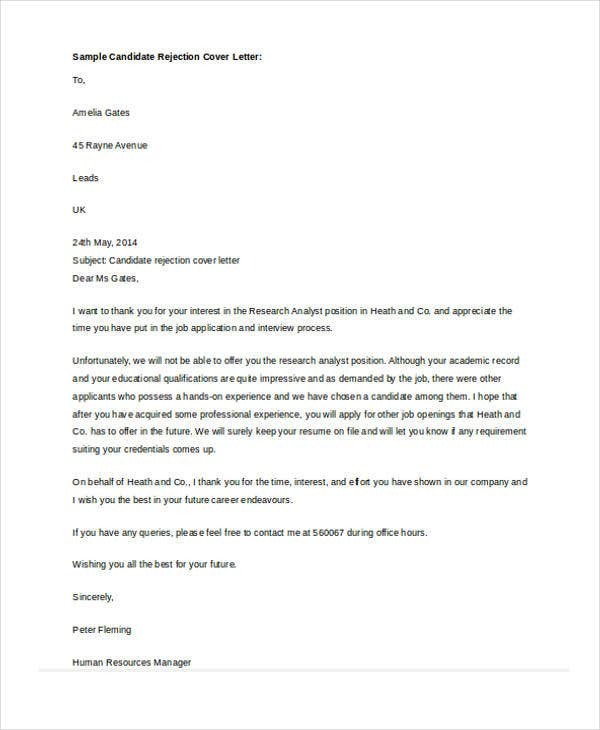 Other than that, we can also provide you with samples of Offer Rejection Letter templates in the provided link. 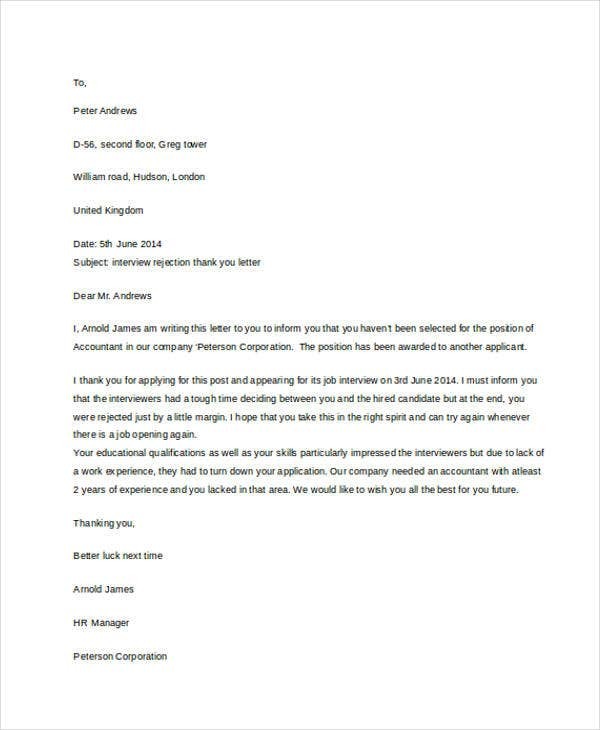 Browse through our samples of Proposal Rejection Letter Templates for more references regarding this specific application rejection letter. 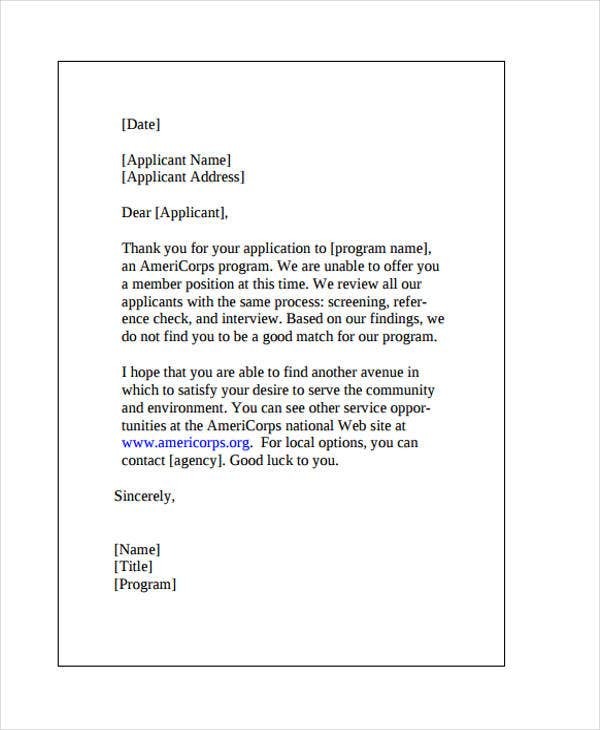 We have more samples and templates of Applicant Rejection Letters in the provided link. 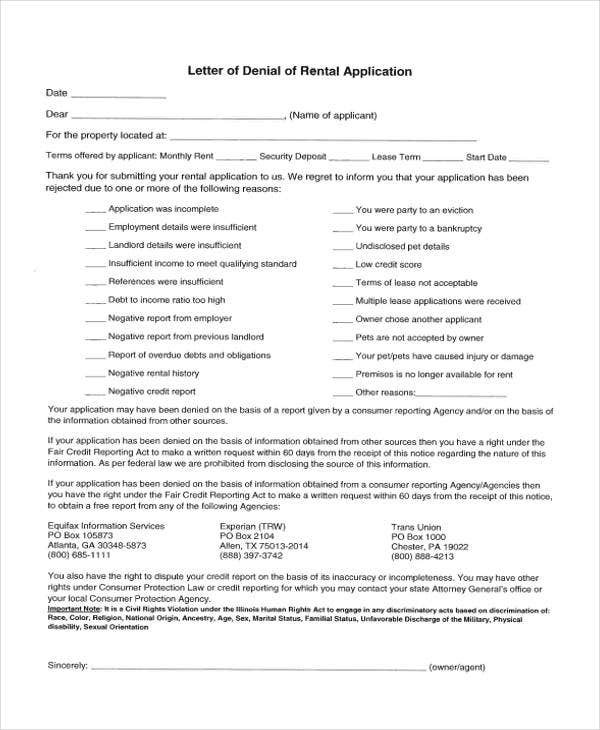 The rental terms requested by an applicant is not aligned with the regulations of the rental business. 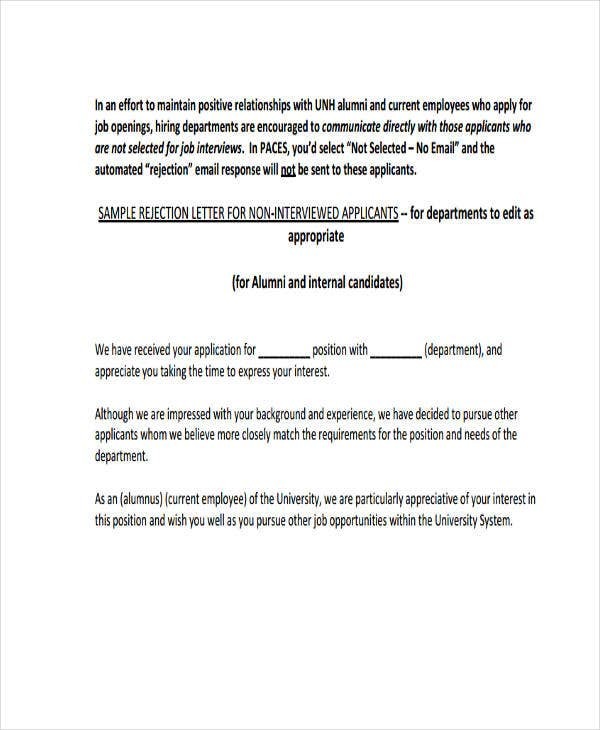 The application letter sent by an applicant is either incomplete or proven to be manipulated. 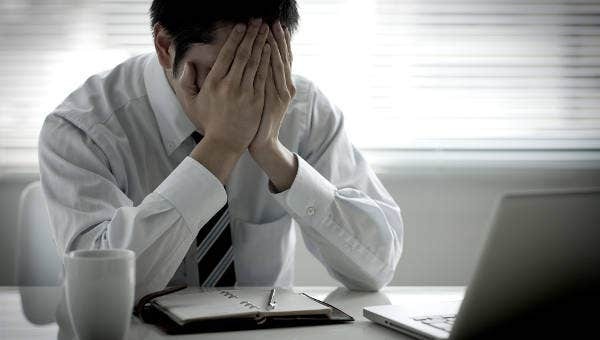 The applicant is proven to have insufficient sources of funds to continue the rental in a particular period of time. Use a template as your reference to assure the effectiveness of the document. Assure that the language that you will use is business-like. 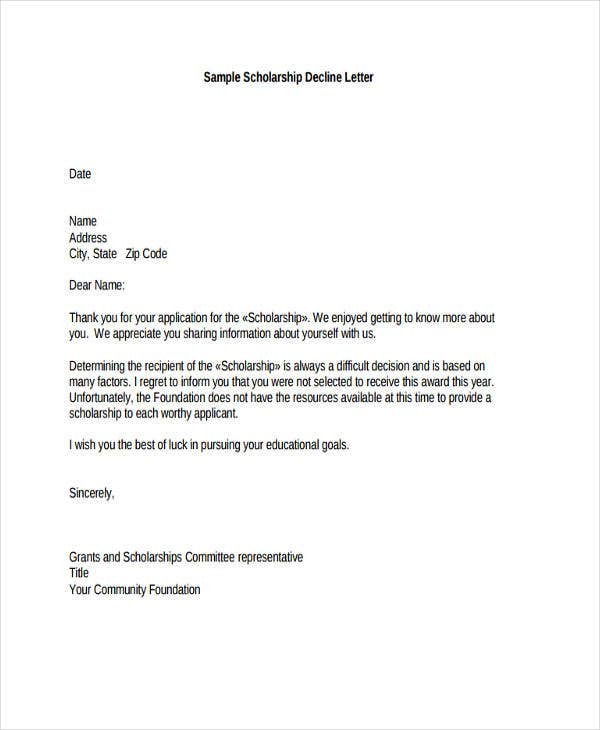 Organize the content of the rejection letter so your reason for rejecting a person or a group ill be easily understood. 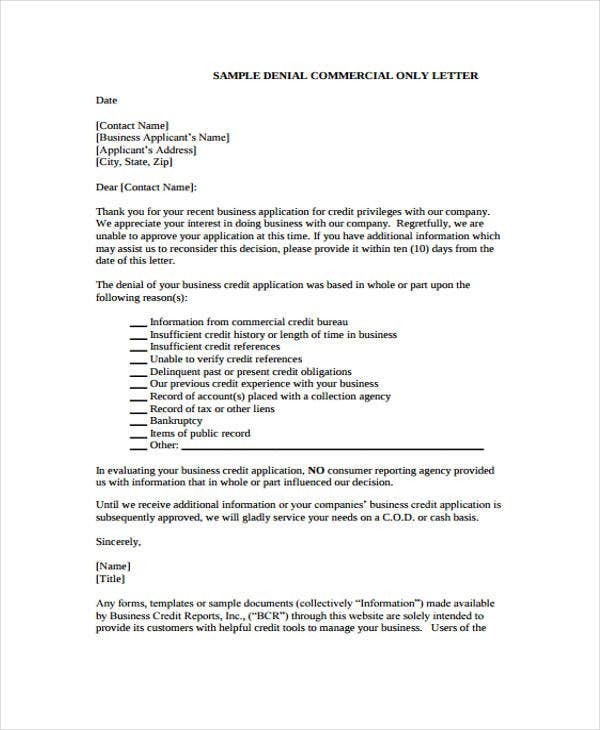 For samples of a specific kind of a rejection letter, kindly browse through our downloadable samples of Bid Rejection Letter Templates from our business archives. Template.net offers a whole host of letter templates, artistic designs, and professional forms you could refer to and download for your convenience. Don’t forget to check them out!